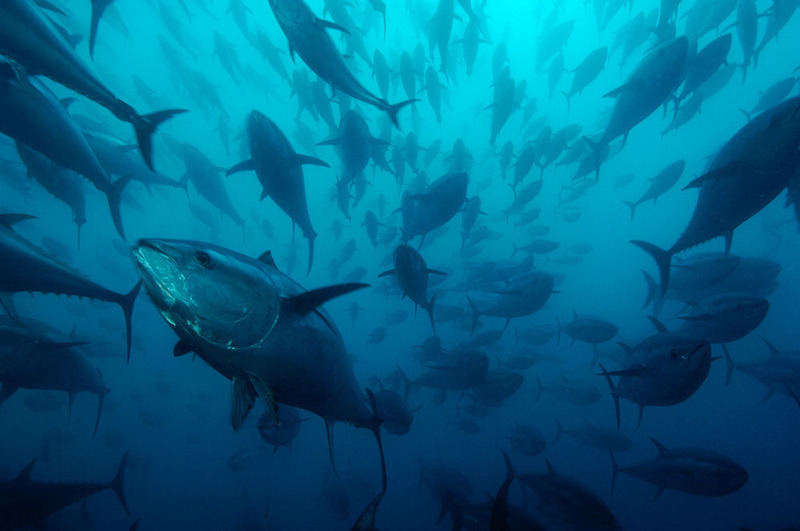 Rome – Brussels – As the International Commission for the Conservation of Atlantic Tunas (ICCAT) meeting closed its doors in Morocco, WWF is deeply disappointed with ICCAT’s decision to drastically increase catch quotas for bluefin tuna when the recovery of the stock is not confirmed yet. WWF also deplores the lack of progress made to improve the fate of shortfin mako shark, blue shark and tropical tuna populations. As WWF feared, ICCAT has adopted an increase in bluefin catch quotas up to 36,000 tonnes by 2020 which is the highest total allowable catch ever set for bluefin tuna. Scientists warn that bluefin tuna stock is not yet recovered and is expected to decrease with such a catch level. "WWF is angered that ICCAT has chosen short-term economic profit when we had hoped for a long-term conservation victory" declared Alessandro Buzzi, Fisheries project manager at WWF. WWF fears that the ICCAT scientific committee’s weak and confusing advice may have led ICCAT to go for this drastic quota increase this year. WWF asks the scientific committee therefore to improve its methodology in order to deliver robust and clear scientific advice in the future. "We have been fighting for the last 10 years to save bluefin tuna, we are so near recovery that it is a scandal to see ICCAT going back to business as usual; this could jeopardize all the progress we've made." WWF welcomes the adoption of harvest control rules for North Atlantic albacore. This is the first time ICCAT has adopted this innovative approach, and it definitely paves the way for the long-term management of other ICCAT species. WWF is dismayed that ICCAT did not establish catch limits for shortfin mako shark, when the population is at risk of collapse. Nevertheless WWF recognizes that the adopted plan for North Atlantic mako could be a positive first step, but only if nations implement the plan's measures in 2018 and start the process of rebuilding the stock in 2019 as agreed in the plan. WWF regrets that no action has been taken for South Atlantic mako, which remains totally unregulated. Existing weak measures for blue shark stocks have also seen no improvement. WWF is also very concerned that no decisions were made to stop overfishing of tropical tuna, undermining the current plans for bigeye tuna and yellowfin tuna, not respected by nations. WWF urges for the adoption of global best practices to reduce FAD-related juvenile mortality and bycatch. In addition, WWF asks for more observers on long liners and for strong control on all at-sea trans-shipment, to fight illegal fishing. Northern bluefin tuna (Thunnus thynnus) in tuna ranching company's (Ecolo Fish) cages, being fattened for the sushi market, Mediterranean Sea, Spain.